Start improving the productivity of your Wire EDM programming by learning how to use all of the features and functionality designed to help you program tight tolerance jobs faster and easier. The latest Training Professor Video Series for wire EDM is an immersive experience unlike any other. You will get all the basics of Wire EDM programming – from setting up your machine, to defining your stock and modifying cutting conditions. As you progress you will get into more advanced lessons like Toolpath patterning, open/closed and inside/outside shape cutting, and 4 Axis syncing. 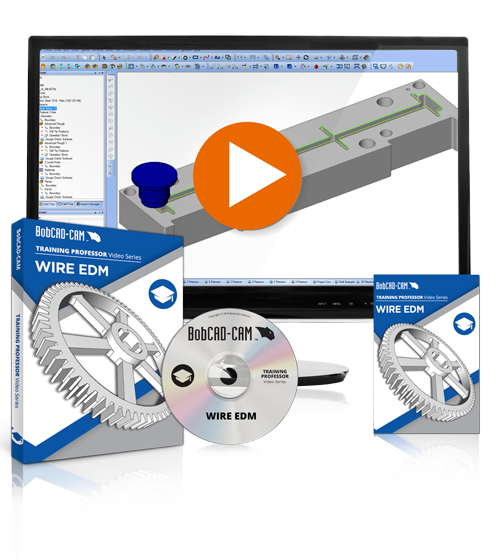 Whether you’re learning to program Wire EDM jobs for the first time, or simply looking to sharpen your skills, this training set will equip you with the knowledge and confidence to machine more parts in less time. Start learning Wire EDM Today!